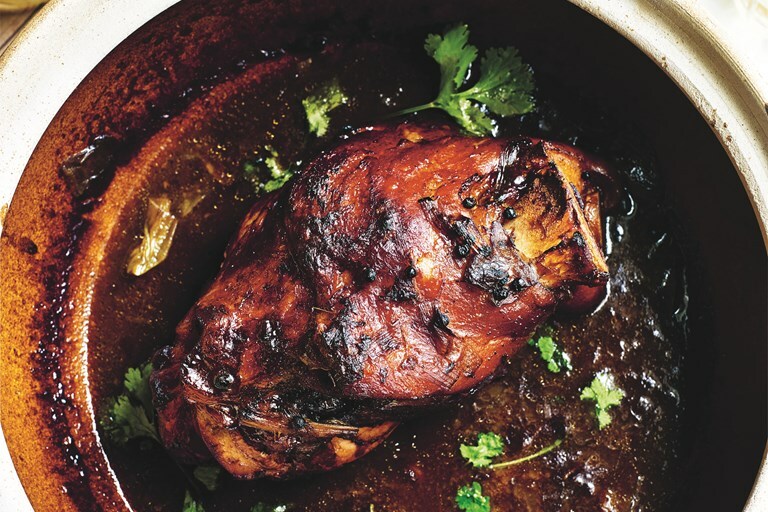 Jeremy serves up a stunning braised ham hock recipe, slow-cooked to perfection in a rich yellow bean sauce and a host of aromatic Chinese spices, perfect for chilly nights. This recipe is taken from Hong Kong Diner by Jeremy Pang, published by Quadrille. Photography by Kris Kirkham. Anything pork goes down a storm in Hong Kong. Traditionally this dish can be found during the winter at dai pai dongs. Its hearty slow-cooked process makes a perfect main dish for serving with a few others: crispy squid with chilli and garlic, or sweet and sour whole prawns (shrimp), along with a stir-fried vegetable and some steamed rice on the side for a truly balanced feast.